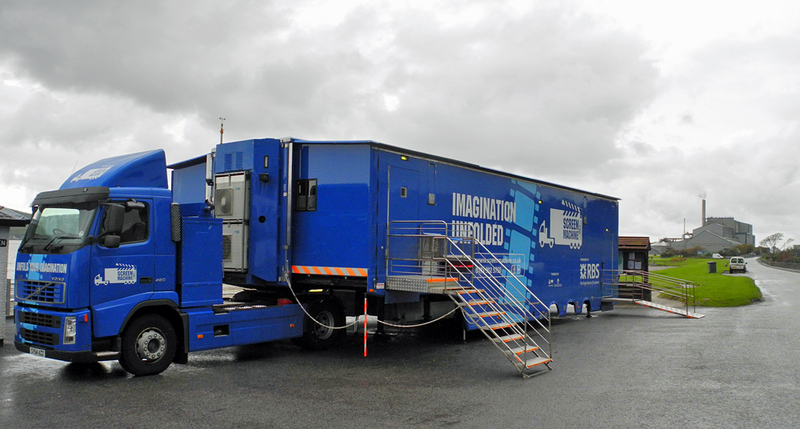 An amazing machine, the Screen Machine mobile cinema. It visits Islay regularly, here it can be seen opposite Ramsay Hall in Port Ellen (the maltings in the distance). This entry was posted in Cloudy Weather, Repost, Village and tagged Islay, Port Ellen, Port Ellen Maltings by Armin Grewe. Bookmark the permalink.